Your asphalt pavement, if laid expertly and with the use of high quality materials, can last over 20 years. It is built to last, but not to last forever. Still, more than two decades of providing reliable service is quite impressive. 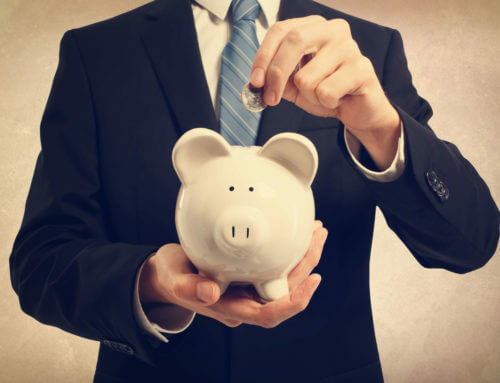 To make this possible, regular preventative maintenance and necessary repairs must be performed. Routine inspection will help you spot minor problems before they turn catastrophic. After all, the expense of sealcoating and crack filling doesn’t hurt as much as asphalt replacing or repaving. Basic pavement maintenance must include repairs of potholes and cracks to prevent further deterioration. Sealcoating may also be performed to protect your asphalt pavement from damage from harsh weather conditions, pollutants, and UV rays. Just make sure to consult trained professionals for even minor repair needs. These three signs of pavement distress will let you know when your asphalt needs repair or when it’s time to call an asphalt contractor. Finding cracks in the surface of your driveway or parking lot is the most common sign that you need asphalt repair. 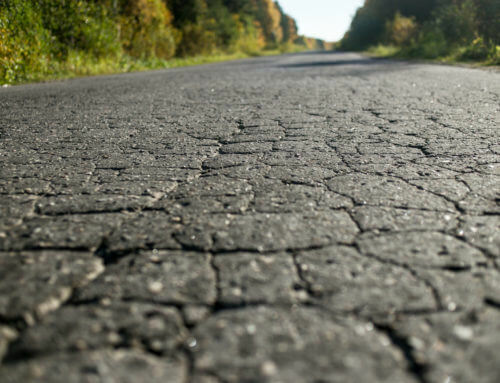 When your pavement is 5 years old or above, expect it to show normal signs of wear such as cracking. There are different types of cracks, and the presence of one may signify underlying structural damage. Repairs also vary on the type of crack involved. Longitudinal Crack — runs parallel to the length of the pavement. Causes of longitudinal cracks include poorly constructed joints, underlying cracks that reflect on the surface, or simple pavement fatigue. This crack is not caused by load-related strain. Repair methods depend on the severity of cracking. Infrequent cracks and those that measure below half an inch wide can be filled or sealed. If there are numerous cracks or if they measure more than half an inch wide, the entire asphalt surface must be replaced. Transverse Crack — runs perpendicular to the centerline of the pavement. This type of crack is often caused by low temperature and asphalt binder hardening that causes the asphalt surface to shrink. Repair strategies are similar to longitudinal cracks. Alligator Crack — also known as fatigue crack, this resembles the scales on an alligator’s back. When untreated, alligator cracks can lead to potholes. 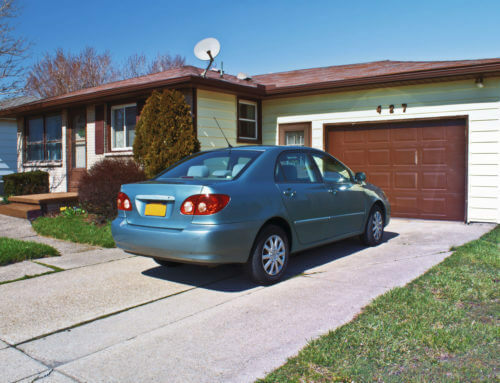 Possible causes include inadequate structural support, moisture damage due to poor drainage, and stripping at the base of the asphalt layer. Crack filling is generally ineffective for this type of crack. Patching over a repaired subgrade (for small, localized cracks) and asphalt overlay (for large cracks) are recommended to fix this problem. Edge Crack — runs along the inside edge of the pavement. Most commonly caused by poor support at the edges, and poor drainage conditions. This can be repaired by filling or sealing, but the underlying problem must be corrected to prevent recurrence. Slippage Crack — found at the surface layer of asphalt and is characterized by crescent-shaped cracks. This is caused by the lack of bonding between the underlying layer and the new material. Dirt, oil, and other contaminants often prevent adhesion between the layers. Fix it by removing all areas with cracks and partial or full-depth patching. Joint Reflection Crack — cracks found in the flexible overlay (e.g., portland cement concrete or hot mix asphalt) over an existing pavement structure. Just like other surface cracks, it contributes to roughness and moisture infiltration. Filling can be done for cracks less than ½ inch wide. Pavement distortion is a type of surface distress caused by an unstable asphalt mix or weak base and subgrade layers. Because it permits water accumulation, it causes more damage in the long run. Depression or Bird Baths — is an asphalt deformation caused by poor foundation under the asphalt. A weak spot in the pavement causes an area to collapse, creating a slightly lower elevation compared to the surrounding pavement. Depression can be easily spotted after a rain when it fills up with water. Patching is recommended for minor depressions, while pavement replacement is required for severe depressions. Rutting — wheel path depressions that also fill with water after a rain. 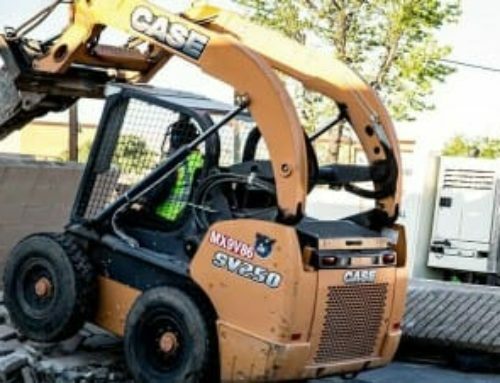 It is caused by varying factors such as insufficient pavement thickness, poor or weak asphalt mixes, and lack of compaction between asphalt layers. Overlay and filling is enough for minor rutting, while replacement of the rutted area is required for severe deformations. Disintegration happens when the pavement breaks into small, loose fragments. Pavement must be treated for early signs of disintegration to prevent the need for complete rebuilding. Raveling — refers to the progressive disintegration of the asphalt layer caused by dislodgement or the washing away of aggregate particles. The main culprit in raveling is the deterioration of asphalt binder—a substance that acts as a glue to hold the asphalt layers (stone and sand particles) together. Northern regions are prone to raveling since warm weather is needed to reduce surface voids in the mixture. Pockmarks on the pavement surface are the first indication of raveling. 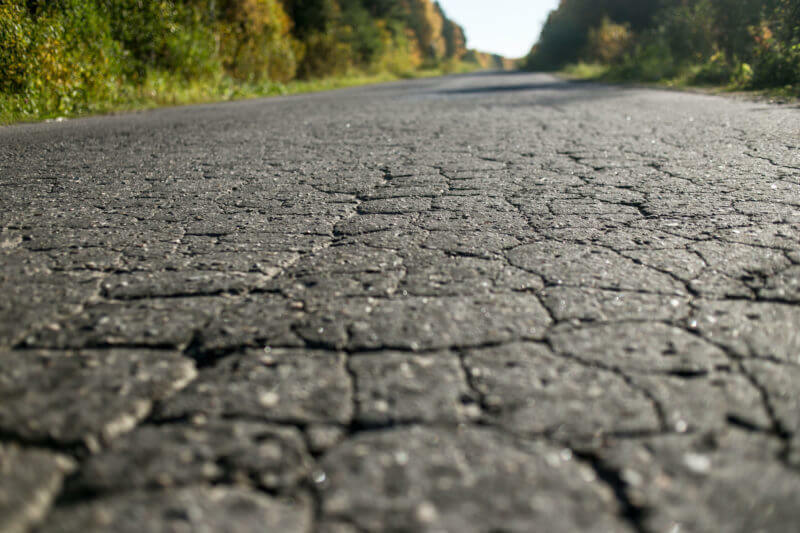 If left untreated, the pavement will appear rough and jagged as erosion progresses. The recommended repair strategy for raveling is the application of asphalt overlay. Potholes — the localized disintegration of pavement surfaces that create bowl-shaped holes. Continued degradation of cracks, patches, and other deformations may result in the formation of potholes. The damage caused by potholes goes all the way to the bottom layer of the asphalt. Moisture accumulation from untreated alligator cracking is one of the main causes of potholes. 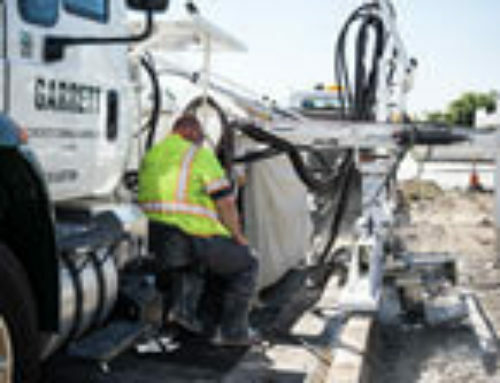 Full-depth replacement patching is the repair method of choice for potholes.